If you are new to WIF then please give our friendly team a call to discuss our classes and organise a pre class assessment with one of our physiotherapists. If you are a current member of our exercise classes your next class can be booked and managed through our website. If you’re not very tech-savvy or if you just prefer to hear our voice you are more than welcome to call us on 02 9388 9093. We are proud to be a baby friendly clinic, and although we encourage you to find time for you we understand that in many cases your baby may need to join you at your appointment. 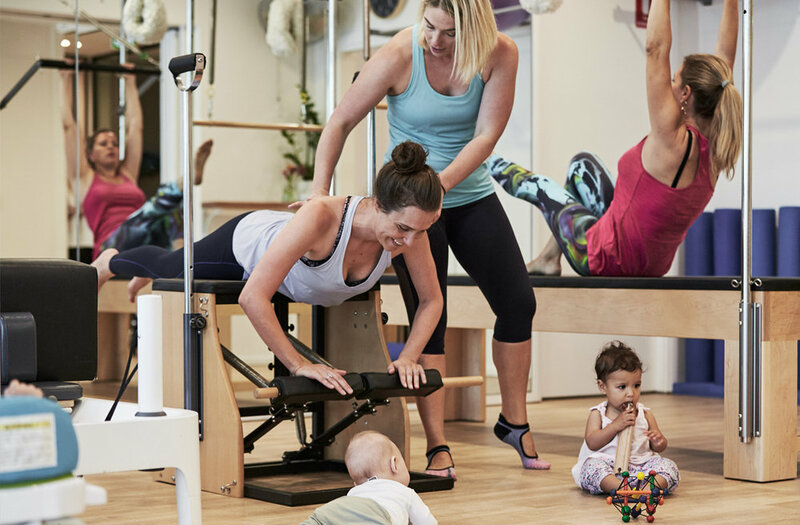 We have a baby change table, baby rockers and kids toys to help make your experience as easy as possible if you do need to bring the little ones with you. Our Cancellation Policy states if you cancel with 24hours notice you will not be charged. Canceling within 24hours will result in a 50% cancellation fee for physiotherapy appointments and classes will be charged in full.